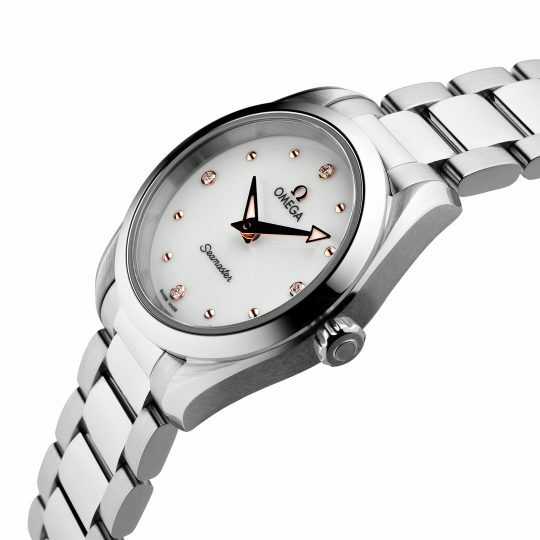 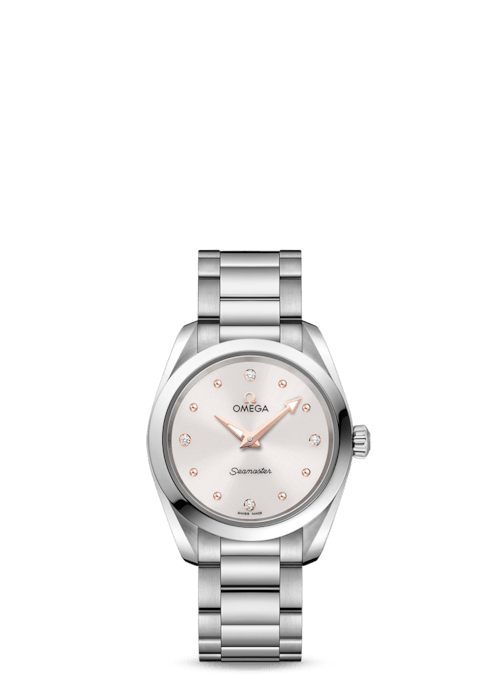 The Ladies Seamaster Aqua Terra defines elegance. 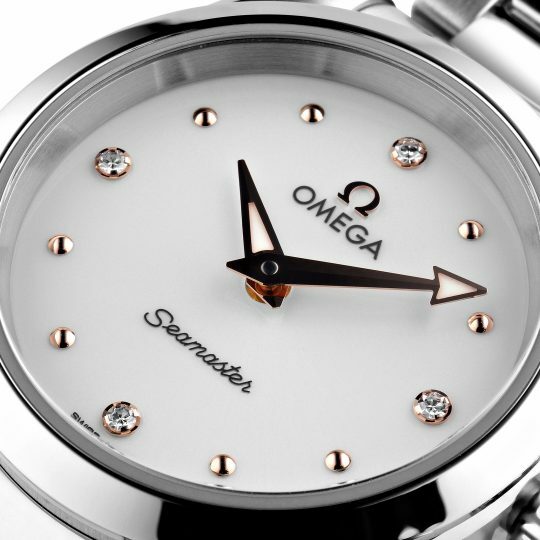 This stainless steel model features a white shimmer dial with 8 dotted indexes crafted from 18K Sedna™ gold and 4 diamond indexes every quarter which are held in place by 18K Sedna™ gold holders. 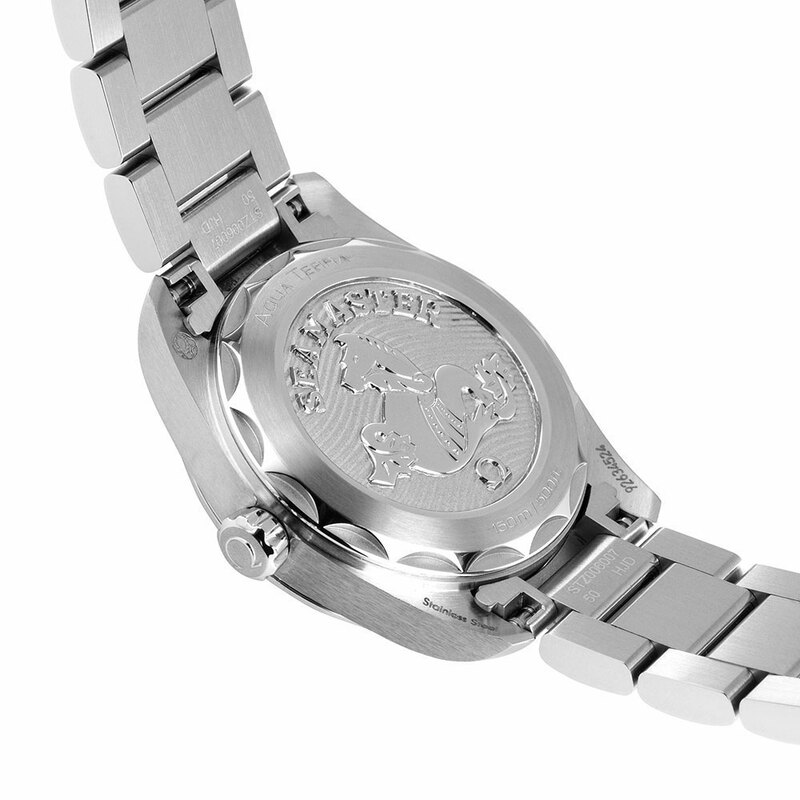 The caseback is embossed with the OMEGA Seahorse on a wavy background. 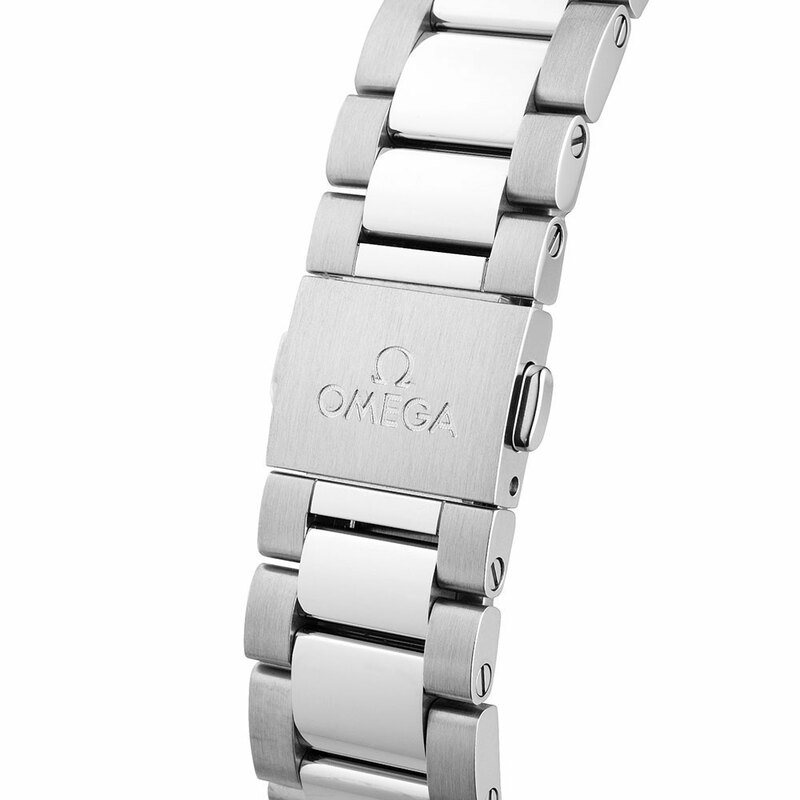 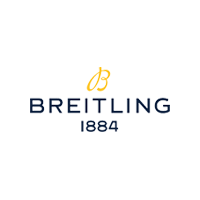 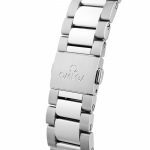 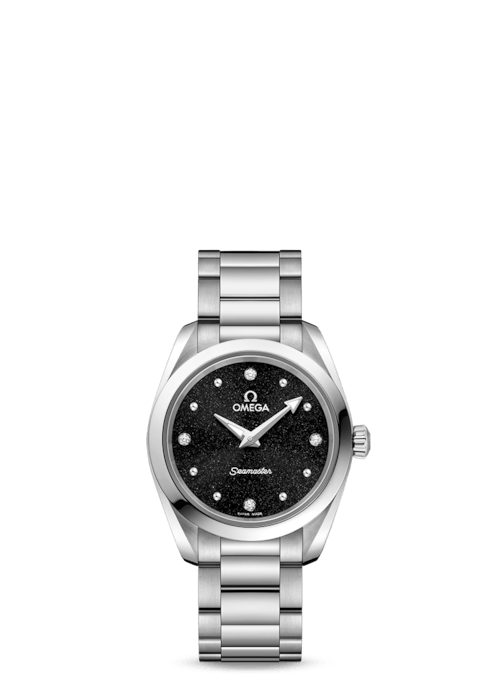 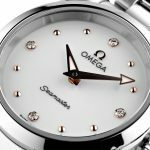 This watch is presented on and integrated into a stainless steel bracelet and is driven by the OMEGA Calibre 4061.